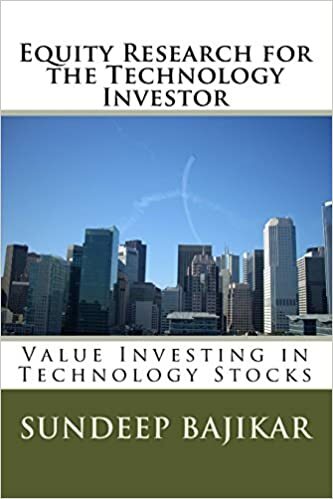 $CAVM – Value in Fallen Growth Stock? Comments Off on $CAVM – Value in Fallen Growth Stock? The average investor is unlikely to view CAVM as a value stock, at least at current levels. It certainly could be a value stock in my framework with conviction around re-acceleration of YoY revenues. Cavium’s potential problems may not be unique relative to its own history, particularly in the 2012-2013 timeframe, which is when I upgraded the stock from Hold to Buy while on the sellside, driven by a unique thesis about entering and taking market share in the wireless base station processor market. That thesis I believe is still playing out. The chart below shows the dip in NTM EPS estimates underlying the stock’s recent decline. Cavium’s current problems appear to be twofold – 1) transition to a hub for at least one of its major customers, and 2) product cycle air pocket primarily due to product transitions (Octeon II to Octeon III) and new product ramps (ThunderX, LiquidIO-2, Xpliant) taking longer than expected. 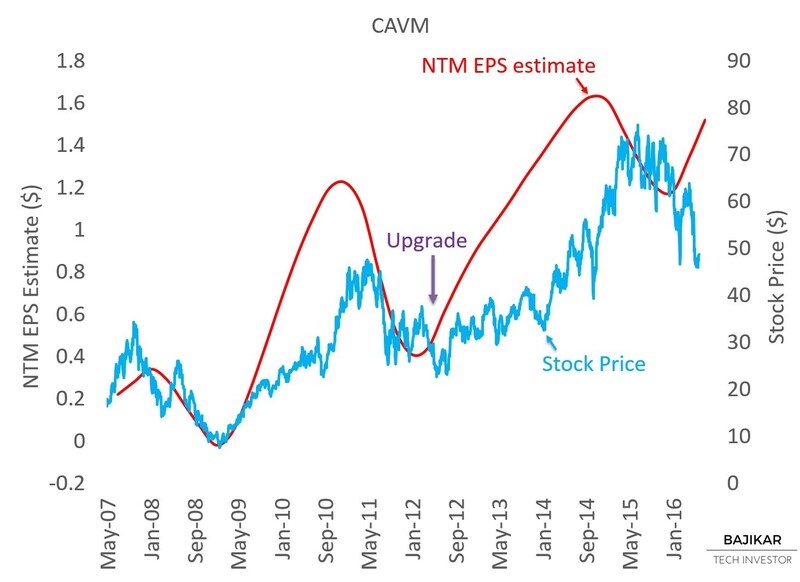 A creatively written bear argument can also point out the fact that CAVM trades on non-GAAP EPS (excludes stock-based compensation), at premium valuation (see below), and that competition from Intel, IBM, and potentially others might be increasing; or that nearly half of Cavium’s revenues are generated from Cisco and NSN (includes former ALU). All legitimate points, which probably will be forgotten (again) once YoY revenues re-accelerate. 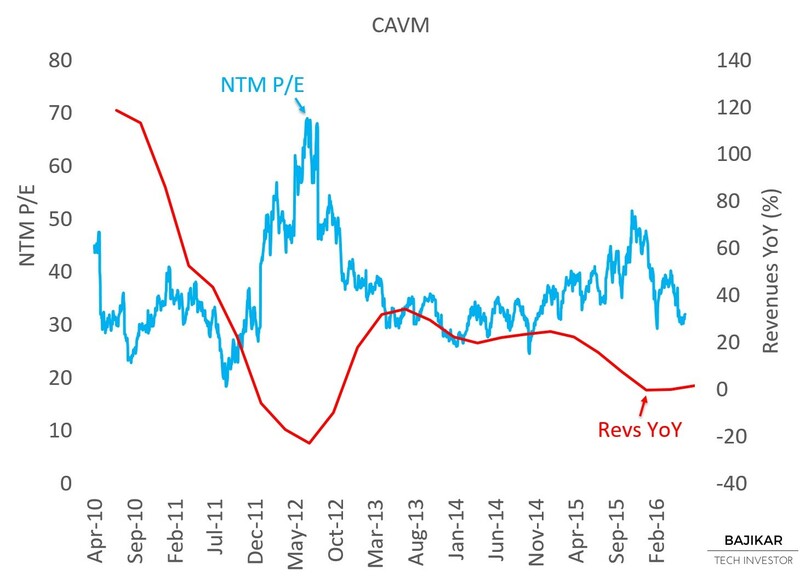 As the chart shows, CAVM has maintained a NTM P/E of ~30x for much of its trading history, and unless the longer-term growth potential of the company is derated, I don’t see the valuation multiple changing meaningfully. The company is guiding for revenue growth to resume over the next few quarters, potentially as early as 2H16, yet I wouldn’t be surprised if that was too late for institutional investors who arguably have been waiting for several quarters already for those new products to ramp. Disclosure: As of this writing the acteve Model Portfolio held long positions in CAVM, INTC and IBM.